Yeah, it was a yawner. Even so, in its coverage of today's GOP debate the MSM has overlooked one notable nugget: Mike Huckabee's fervent espousal of a radical egalitarianism that, at least in this NewsBuster's view, reflects a fundamental misreading of the Declaration of Independence and a departure from conservative principles. In the debate, Washburn frequently cut off exchanges between the candidates, and at one point sparked a mini-rebellion when she asked for a show of hands on the issue of climate change. When former Senator Fred Thompson said he preferred a minute to explain his position, Washburn told him no. Geraldo: Can GOP Candidates Convince Hispanics They Don't 'Hate' Them? 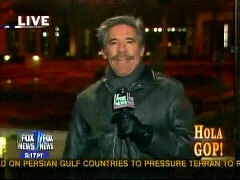 GERALDO RIVERA: In the current anti-immigration climate did these Republican debates convince Hispanics that they don't hate them? Update 12-03 | 1:55 PM: Barack fires back; claims Hillary becoming "more desperate and negative by the day." See complete update at foot. Are Hillary's internal polling numbers telling her staffers that she's in big trouble? That's the provocative theory that Chris Matthews floated on today's Morning Joe. Host Joe Scarborough asked what could have caused Hillary and her senior aide Howard Wolfson to go on the attack against Barack Obama this weekend, respectively questioning his character and accusing him of maintaining an improper political "slush fund." In response, Matthews conjectured that Hillary's helpers have looked at the polling data . . . and seen her support "crashing." There was a truly fascinating event on Sunday's "Meet the Press" that could definitely have lasting meaning on the 2008 presidential campaign. Not only did host Tim Russert bring up former President Bill Clinton's flip-flop on his support of the Iraq war, but also NBC's David Gregory said, "It's a reminder of what some people who don't like Hillary Clinton don't like." Maybe Bill shouldn't have complained about how his wife was treated by Russert and Gregory during the October debate in Philadelphia. U.S. Senator Barack Obama (D-IL) gestures as U.S. Senator Hillary Clinton (D-NY) listens at the CNN/Nevada Democratic Party debate in Las Vegas, Nevada November 15, 2007. Retired Brig. Gen. Keith Kerr, a member of Hillary Clinton's campaign, in the audience at CNN's Republican debate of November 28th, making comments after the airing of his YouTube question on gays in the military. The fake news keeps on coming: a former intern at the radical Islamist group CAIR was another questioner chosen by CNN at its "average joe" debate. Do none of the Republican presidential candidates, including the former mayor of New York City, care about crime in the African-American community? 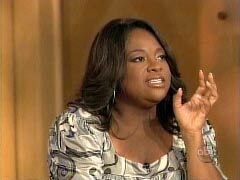 According to "The View’s" Sherri Shepherd, they do not. Joy Behar says those encouraging a more stable family structure are "mental midgets" because they will not discuss racism. The issue of healthcare has sparked some of the most heated debate this campaign season on the Democratic front, but the Republican presidential contenders seemed to all but ignore what is considered a major priority for many voters. Recent CNN/Opinion Research Corporation polls show healthcare reform is consistently at the forefront of voter concerns along with the war in Iraq and the economy. Candidates often find a way to include their talking points and campaign priorities in debate answers regardless of what the question posed to them actually is. Since no question was posed to the candidates about their healthcare reform plans, they all but ignored the issue choosing instead to emphasize their stances on illegal immigration and the war in Iraq. Not only does CNN try their best to muddy Fred Thompson's stance on the Confederate flag but they use a picture that makes the candidate look ashamed of himself or pensive to accompany the piece, cementing the fact that CNN is trying their best to flavor Thompson's flag stance as a "bad" thing for him.